There are times in your life when you touch nature in such an overwhelming and amazing way that it silences you. While I was in Mexico I took an eco-tour deep into the jungle. We toured an amazing Mayan community known as Pacchen. Watch the video and see how our guide introduced us to the Mayan culture and a shaman who blessed us in the Mayan tradition, leading us to a deep underground cenote to swim – plunging 40 feet down into a cenote pit. As I rappelled from 90 degree heat into the cool cave, I watched bats flying mere inches from my shoulders. Below my feet was a fresh water cenote so crystal clear that when you flashed a light through the water you could see over 40 feet to the bottom of the cave pool. This astounding adventure brought me closer to the Mayan people and taught my team and I that there is more to the jungle than you can imagine; there are whole other worlds and cultures waiting for you to learn about and explore in the world’s jungles. 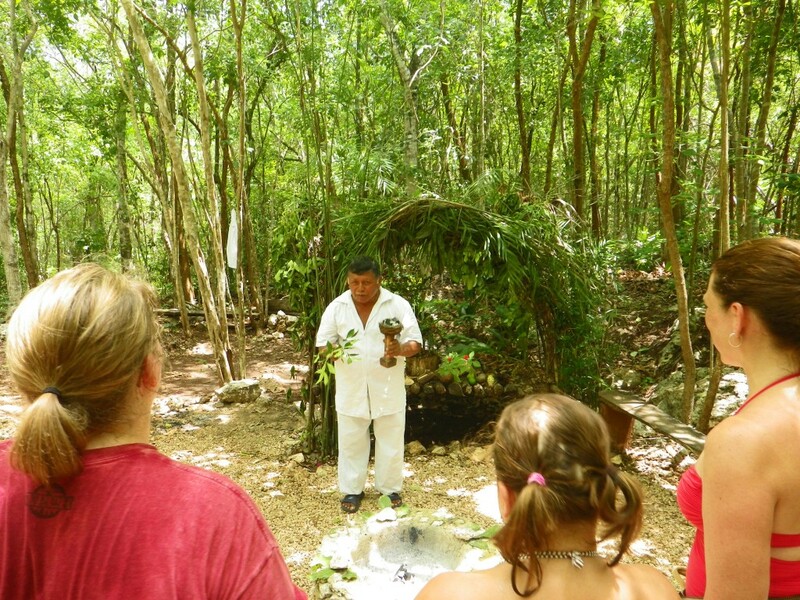 Mayan Encounter – Alltournative Tours.